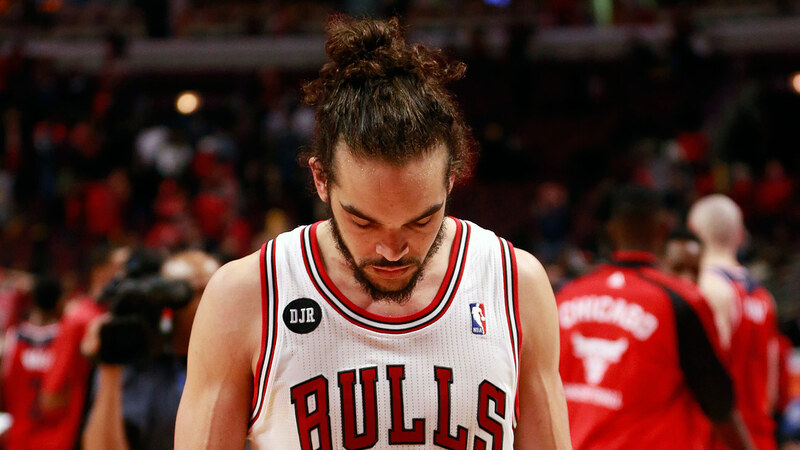 Watching the Chicago Bulls season come to a sputtering, anti-climactic close was not easy. Objectivity took some some effort at first, with the sting of defeat still being so fresh, official after a 75-69 loss Tuesday night that did nothing to enhance the Bulls’ overall successful season. It took time to calm down and reflect and gain clarity because the final five games were so unsatisfying, but the city of Chicago and greater Bulls Nation should be proud of their team. Anyone who followed the team with regularity couldn’t have though that this year’s Bulls were capable of bringing home an NBA Championship, but in the wake of their resurgence in the second half of the season, many expected them to at least win the first round. It just took this particular series, with a game Washington Wizards team, full of bad match-ups for Chicago, to fully realize just how un-promised a deep playoff run is in any given year. Here at WARR, we are strong believers in giving credit where credit is due. As much as we would like to say the Bulls could have played better we have to accept the fact that this team had obvious limitations. I chalk this series up to the Wizards playing great and executing their game plan to perfection. Co-MVPs: John Wall and Bradley Beal played with a lot of poise in their debut playoff series. Beal gets my series MVP for averaging 19.8 points per game. For the closeout game specifically, Wall’s ball protection (one turnover to Beal’s five) earned him the nod. Wall has been able to do almost whatever he wants in this series. Without Derrick Rose, the Bulls had no athletes with a similar explosiveness to Wall. Kirk Hinrich was able to contain him sporadically, but in Game 5, Wall finished with an impressive line of 24 points/7 rebounds/4 assists. It was painful for a Bulls fan to watch Wall use his athletic ability to grab defensive boards at will and become a one-man fastbreak, it was precisely the type of sequence the Bulls offense generates regularly with a healthy D. Rose. Against the Bulls he actually didn’t even need to rely on his improved jump-shooting ability. The explosive Wall pressed the Bulls with ball in hand, accounting for over 50 percent of his team’s free throws and converting 81% of them. X-Factor: In this Game 5 clincher, the X-factor will not be a player, it’ll be more of an element — fatigue. The Chicago Bulls have been one of the worst offensive teams in the league all year and them playing with a short rotation in their 87th game of the season helped this X-factor stand at the forefront. 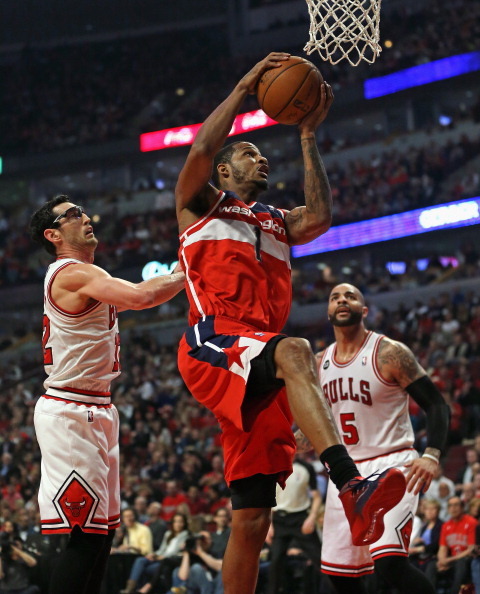 Trevor Ariza of the Wizards grabs a rebound over Kirk Hinrich and the Chicago Bulls during Game 5 of their series Tuesday night. Chicago ranked dead last in points per game in the regular season,to see them score 69 in their season finale is fitting. Even taking all of that into account, it is quite shocking how poorly the Bulls performed in a must-win game, they shot an awful 33% from the field and got out-done in all rebounding categories — surefire ways to lose a basketball game. This is especially true in the playoffs where the physicality reaches new heights and it is much harder to score from possession to possession. Fatigue controlled this game more than any other factor in the series and it was obvious. DJ Augustin shot 1-of-10 from the field. Mike “Heat Check” Dunleavy Jr. was 2-of-8. Taj Gibson, who shot 56% for the series, was only 3-of-10 and ended his night after a scary ankle injury took him out for all of the fourth quarter. Fatigue had an effect on pretty much every Bull except for Hinrich and the tireless Jimmy Butler. These two guys deserve a lot of credit. They combined to shoot 46% from the field (including six 3-pointers). Unfortunately, having only two guards show up (two guards who were still outscored 41-32 by Wall and Beal) wasn’t enough to combat Washington. Silver Lining for Bulls: It may be extremely difficult for Bulls fans to accept that this season is over, especially when their half of the Eastern Conference bracket seemed to open up like the Red Sea due to Indiana’s struggles, but there are reasons to cheer up. 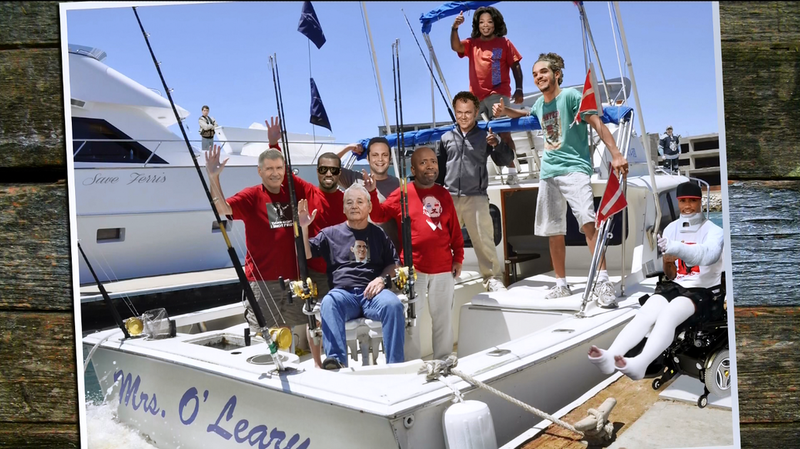 This off-season could be the biggest in Bulls history. Of course the rumors of getting Carmelo Anthony have dominated the headlines, but there are actually a healthy number of moves that can be made to place the Bulls in a position to be a title contender next year at least and for years to come at most. Super Euro-league prospect Nikola Mirotic may finally come from overseas and provide the Bulls with another quality big man, and perhaps the first quality stretch-big under coach Tom Thibodeau. The Bulls will also have two draft picks in the first round around the 16-19 range due to Charlotte clinching a playoff birth. In an expected deep draft like this year’s, it is very possible that the Bulls could strike gold with at least one of those picks, though that would be a critical test of Thibodeau, who has established a stubborn nature in regards to using a deep bench. Chicago could also package those picks in a trade to move up a few picks closer to the lottery if they don’t enter the lottery proper. With Rose’s expected second return from injury and the team positioned well to acquire depth at all positions, the Bulls do not have an excuse to not be a consistent title contender through the remainder of the decade.